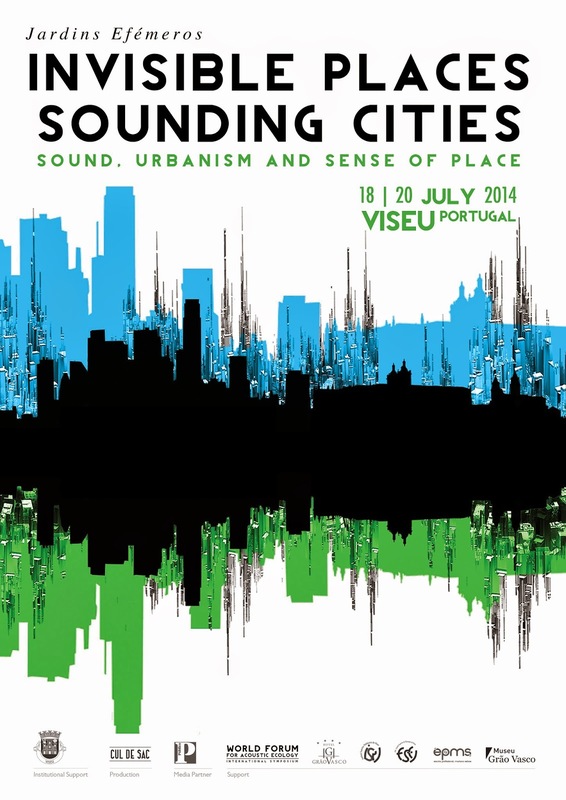 Sounding Cities Invisible Places, Sounding Cities Sound, Urbanism and Sense of Place. 18–20 July 2014, Viseu, Portugal. A city is a place of diversities. Its rhythms are sometimes contrapuntal, sometimes synchronous. We live in a city of multiple destinations and routes—spaces populated by sounds, smells, gestures, visions, exchanges, encounters, and feelings. We have a better a city experience with all the senses awakened. However, modern cities have been designed, built and determined by visual aesthetics. A strict regime of the visual limits the innately diverse ways we sense and communicate with our home and the world. In urban planning the “regime of the visual” makes it easy to neglect the invisible nature of sound. All its acoustic variables are essential for developing proposals for our cities. Technically, the physics and mathematics of sound are complex. Yet, all too often, we have ear-witnessed the huge discomfort of new spaces built with little or no attention to acoustic design. Your listening is as important as what engineers can measure. The issue of sound quality in urban environments is a universal theme that affects us all, from hearing loss to heart disease, so it is urgent to extend this discussion. Invisible Places | Sounding Cities has two goals: a symposium on sound, urbanism and sense of place endorsed by the World Forum for Acoustic Ecology and an exhibition of artistic events that aims to bring art and science to the streets. It is integrated in Jardins Efémeros edition IV. Often acoustic space is ignored in the construction of a public space, yet the negative impact this has does not seem to get many complaints. People rarely require more quality of the sonic world, because the average consumer does not have the necessary references to change this state of affairs. We know that the prevalence of noise or sounds that do not convey any social significance and are a disturbance of the quality of life, reduces the ability to identify with the place we inhabit. It is therefore urgent to think about the acoustical problems societies are facing today and integrate that thinking in urban planning, architecture and management of public space, because the idea we have of ourselves, our personal awareness and the relationships we build in the external world, are inextricably linked to a space. We all exist somewhere. And personal identity also relates to this. All the talks will be presented at Escola Superior de Educação de Viseu. The audio works will be presented at the Listening Room at Rua do Comércio 112.